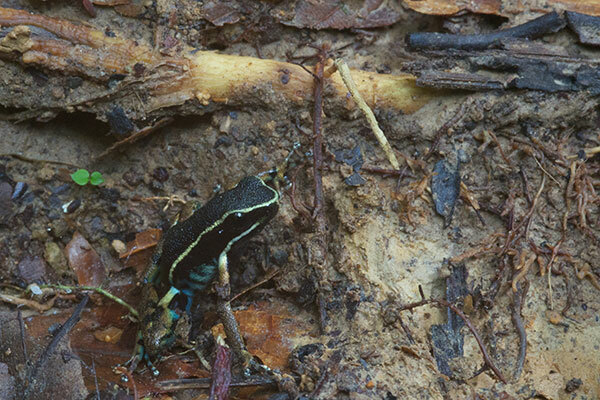 On our last morning in the Amazon flooded forest, we were walking along an only-slightly-flooded trail when a glimpse of color on a buttress root about five feet away caught my eye. 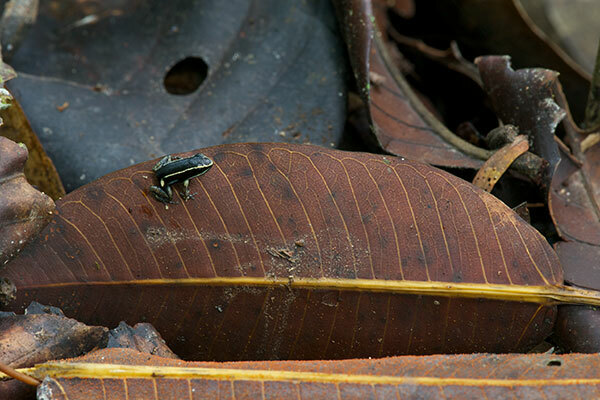 I looked more closely, and at the instant I recognized it as a beautiful little frog rather than an insect it leaped away into the leaf litter. I spent a few minutes trying to rediscover it, but to no avail. 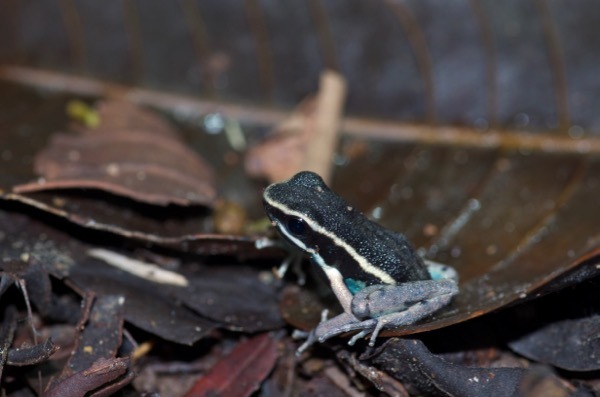 There are at least three different poison frog species in this area of Peru that all look remarkably similar: A. hahneli, A. femoralis, and A. picta. 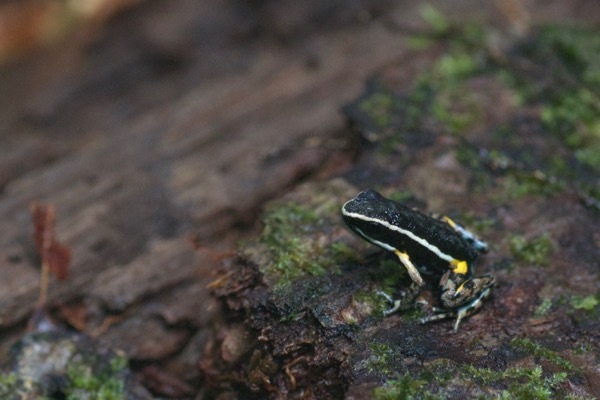 A. hahneli is the most common of the three. 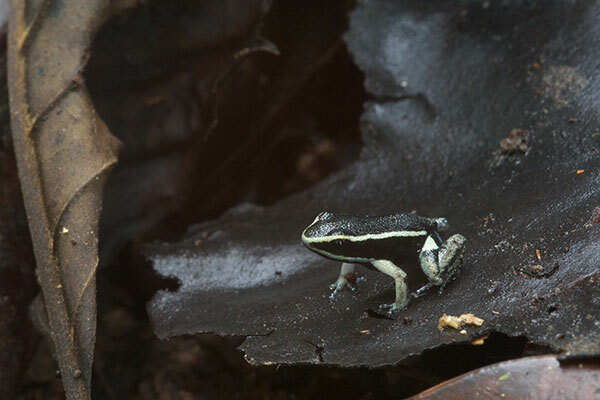 I am pretty confident that the second and third frogs here are A. hahneli, and somewhat less confident about the first one. Please let me know if you can provide any ID help! 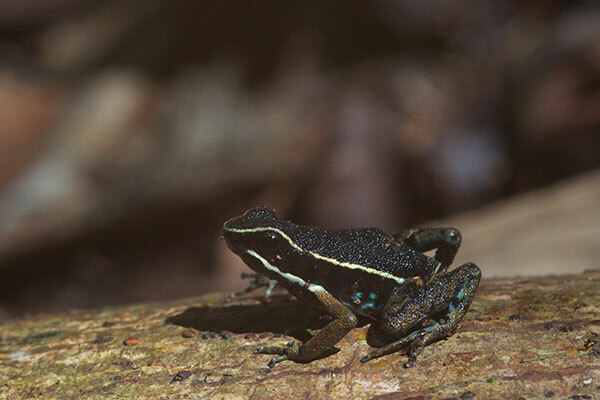 The mottled blue-and-black on the thighs and belly are one of the diagnostic features that distinguish A. hahneli from the other lookalike species. 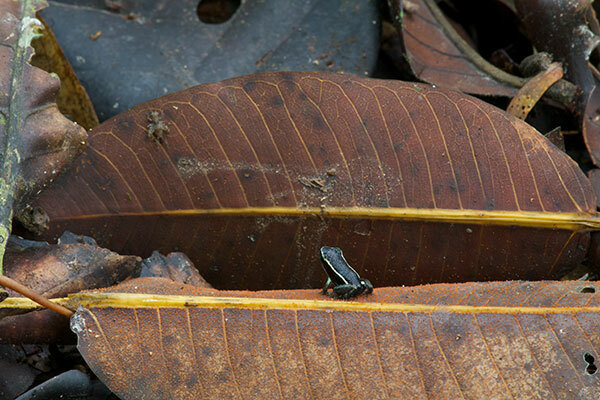 Matt Cage and I spent a few minutes photographing this pretty little frog. 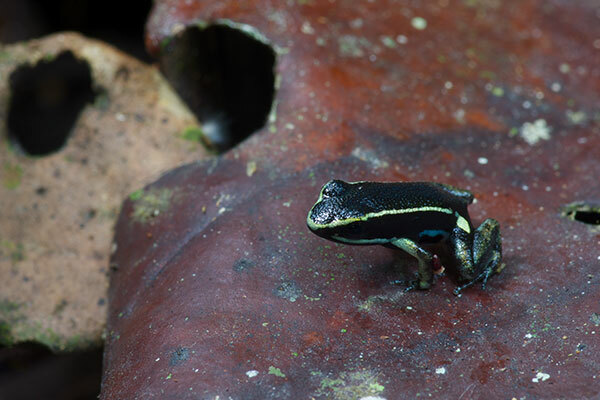 Like most of the Peruvian poison frogs, it would tend to hop right when you were about to press the shutter release. Looking at the second and third photos here later, I realized that it had made that particular hop in the hopes of nabbing a tiny cricket. 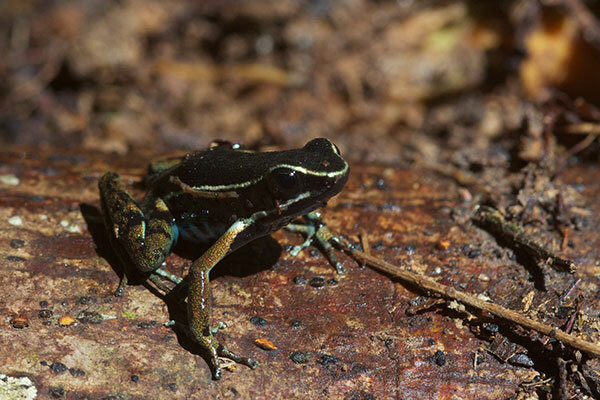 This one, from two years later, is clearly Ameerega hahneli and not its lookalike cousin Allobates femoralis. The giveaway is the blotchy blue belly, with no hint of a light stripe separating the belly from the side. Another one from a few days later, at the other reserve we visited on this trip. Once again, it's clear that there's no light stripe between the belly and the side. This one has very prominent yellow marks atop all four legs.